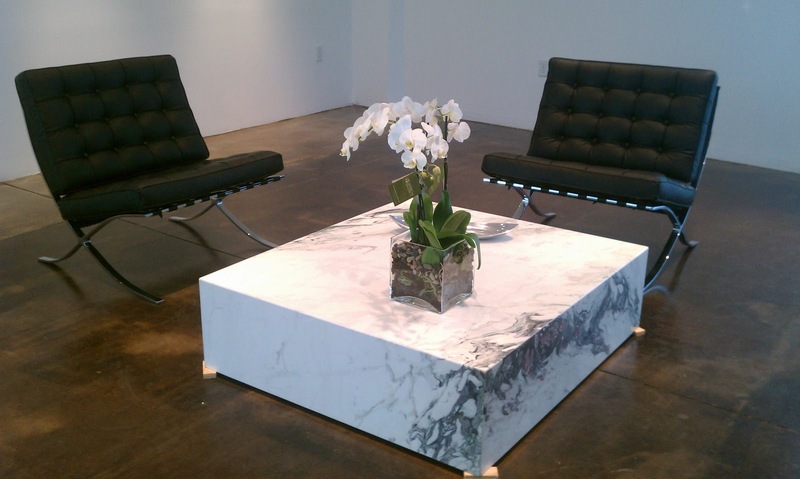 Check out this table we recently made for one of our suppliers, Adamas Stone. It's in their new showroom and I just love it with the Barcelona chairs. The edges are all Mitered for a monolithic look. 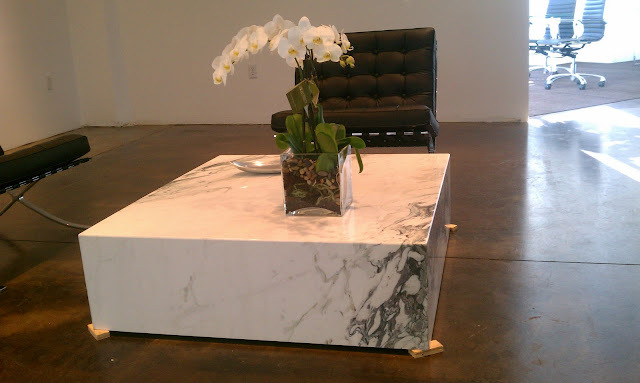 The marble is Breccia Capraia from Italy. It has some crazy beautiful purple veining, but it's mostly pure white with grey veining. In other news, I was interviewed yesterday for a feature called A Measure of Success on the In Good Measure website. Check it out here. Last, I have to tell you about my newest obsession....Pinterest. Are you all on it? I was an early signer-upper, but I had not really gotten into it until just recently and HOLY COW. ... I now spend way too much time on there! That coffee table looks great, but I bet that thing is heavy!